A couple of years ago I took a morning walk up Wilshire from Beverly Hills to the Miracle Mile district of Los Angeles. Here's links to Part I and Part II. Above is the corner of Wilshire Blvd and San Vincente Blvd, where Wilshire once again enters the city of Los Angeles. 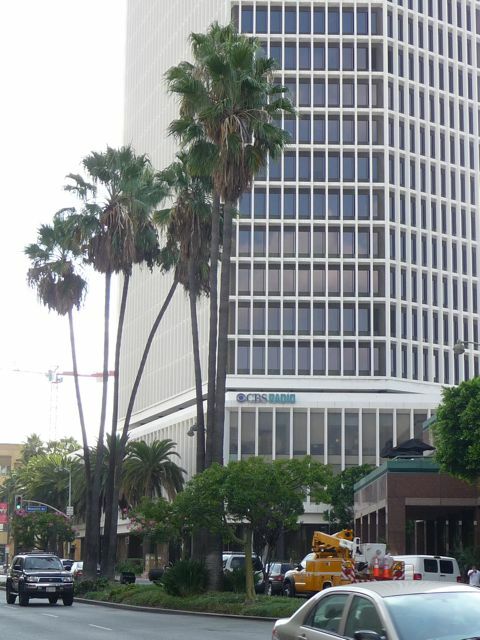 As I shared last week, I had a summer job on the 10th floor of this office building back when I was a student at UCLA. Lousy pay, but a fun job. This little section of Wilshire between San Vincente and Fairfax is (according to the L.A. Times "mapping L.A. Project") is considered "Carthy" to the south, and "Beverly Grove" to the north. 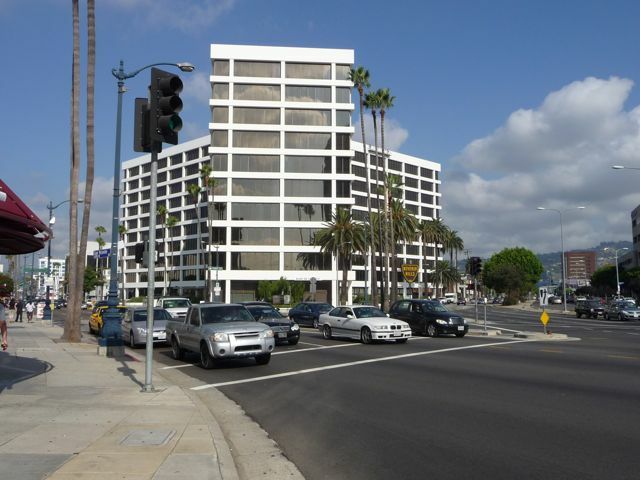 Along Wilshire it's a real mix, from office buildings . . .
. . . to 1980's era strip malls. 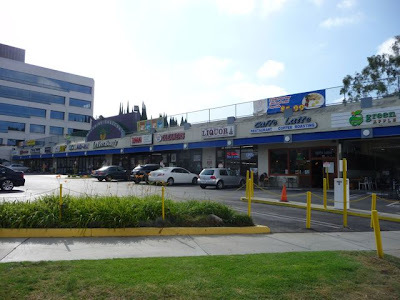 To me, it's almost weird to see such a suburban looking strip mall along Wilshire - what's technically the busiest and most significant street in Los Angeles. Plans are underway to finally continue to Purple Line subway along Wilshire from Koreantown (Western) to UCLA (Westwood Blvd). When they happens, I'm imagining this strip mall (and other lowrise developments) it will give way to a larger projects. More mismatch of zoning. 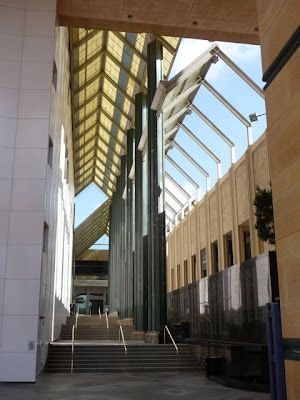 Above is a wide cement side walk - with no street trees. 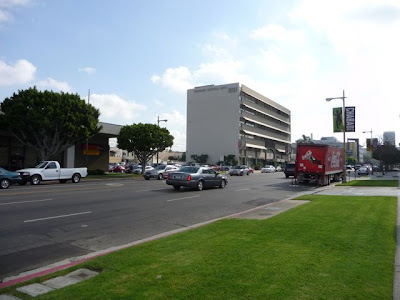 A block away, a huge grass parkway (still no trees). The folks here need to take a look how Pico Blvd (a similar neighborhood in L.A.) looks with street trees (here's a link). 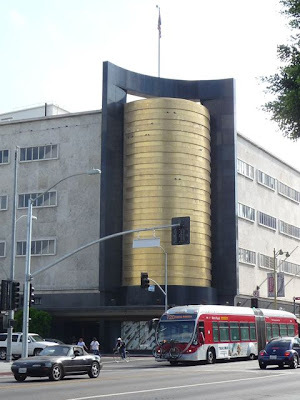 Things pick up again (at least, architecturally) at Wilshire and Fairfax. 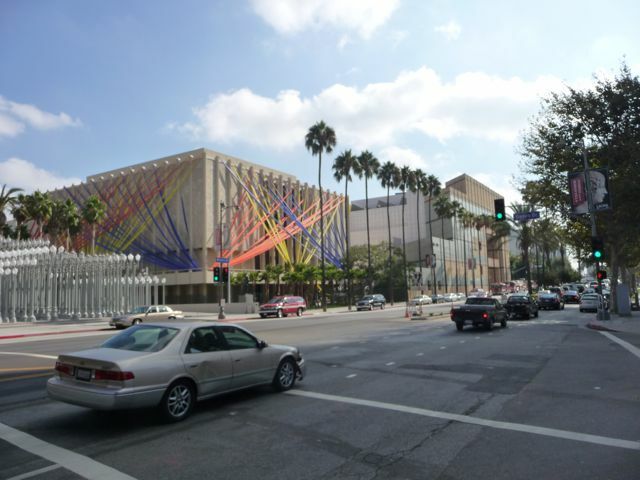 The "Miracle Mile" district begins at Fairfax and continues for two miles until Western Avenue. 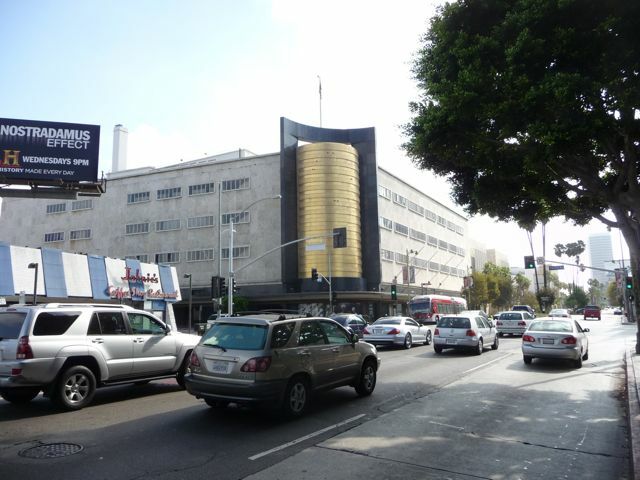 The old May Company department store, with it's distinctive gold corner, built in 1938. The department store closed in 1998 - it's currently houses offices and the Children's Museum of the Los Angeles County Museum of Art (LACMA). 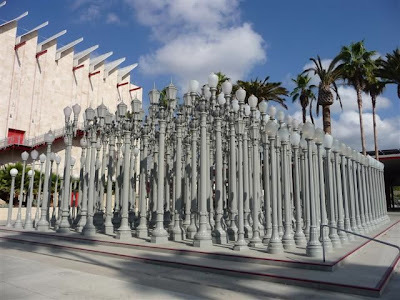 A few steps further: LACMA: the Los Angeles County Museum of Art. Chris Burden's "Urban Light" art display. 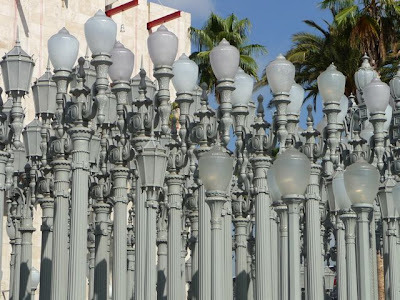 "Urban Light" consists of 200 Vintage Lamp Post from around Los Angeles. 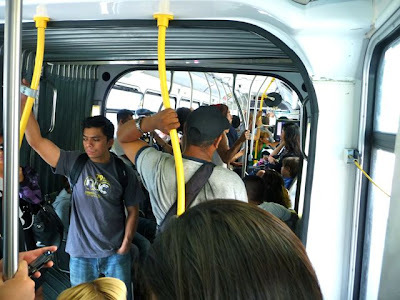 Here's a link to a previous blog post on this. Looks good during the day - looks fantastic at night. Entrance to LACMA. 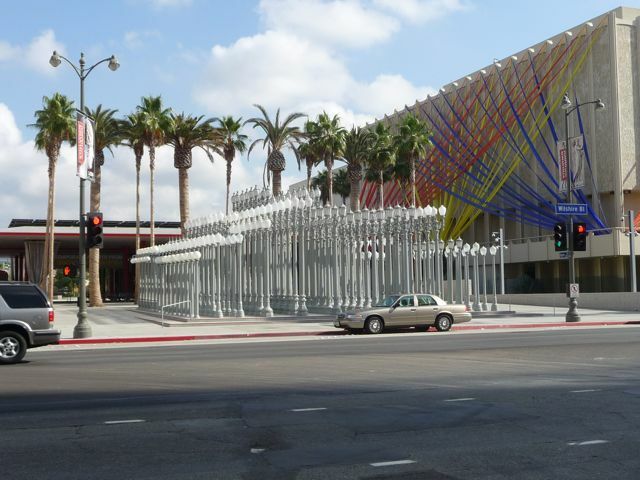 $15 admission, but free the 2nd Tuesday of every month. Here's their website. 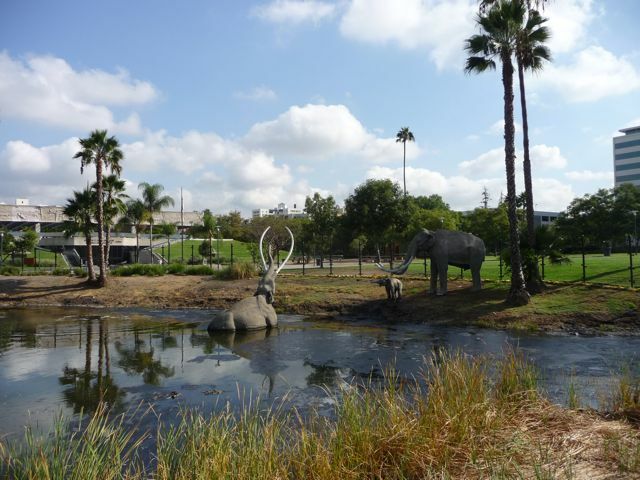 Perhaps one of the most spectacular sites along Wilshire has also been their the longest: the La Brea Tar Pits, which has the distinction of being the largest deposit of Ice Age fossils in the entire world. 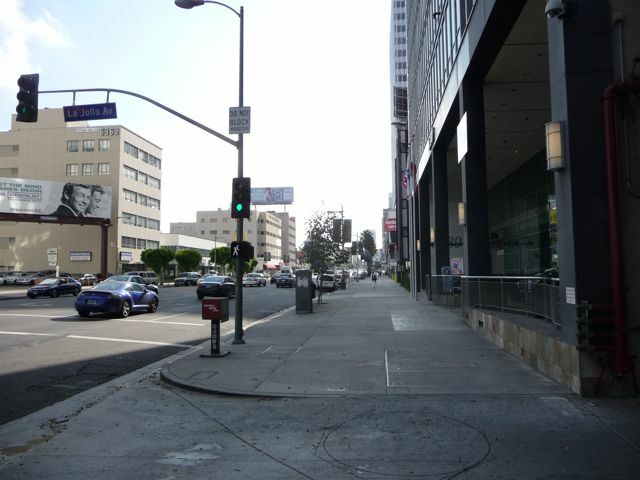 That would be impressive anywhere - but how about along the busiest street of L.A.? 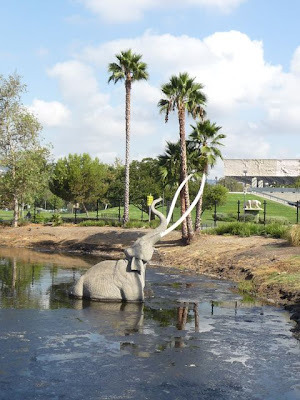 The large fiberglass mammoths (including one pictured above literally floating on the top of the largest tar pit) gives an idea of the kind of animals that existed in this area in pre-history Los Angeles - as well as the rest of North America. 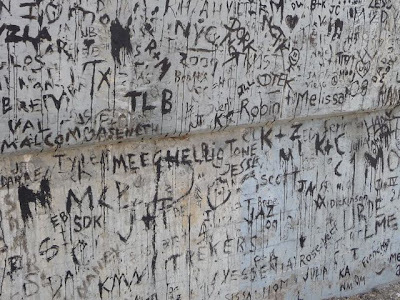 If you've never been, it's worth a visit. 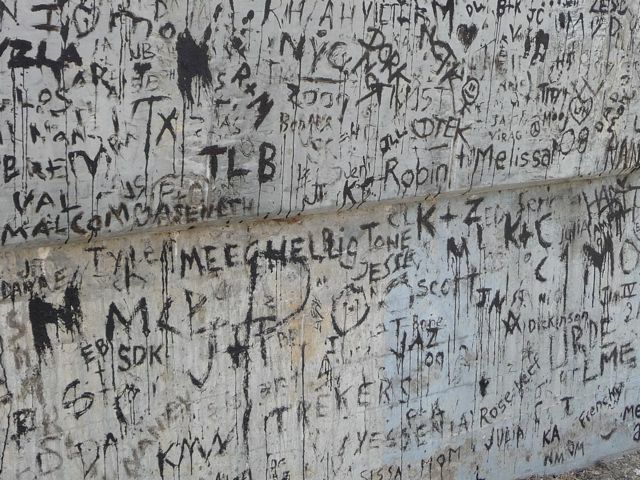 Normally, I hate graffiti (sadly found everywhere throughout Los Angeles) but there was something cool about people using tar to write their names on a cement wall near the tar pits. CBS news headquarters across the street. 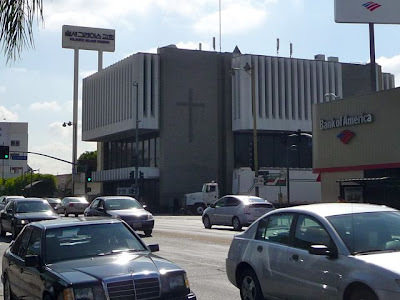 If you've ever listened to KNX 1070 for a traffic update now you know what they mean when they give the weather from "the Miracle Mile" in Los Angeles. 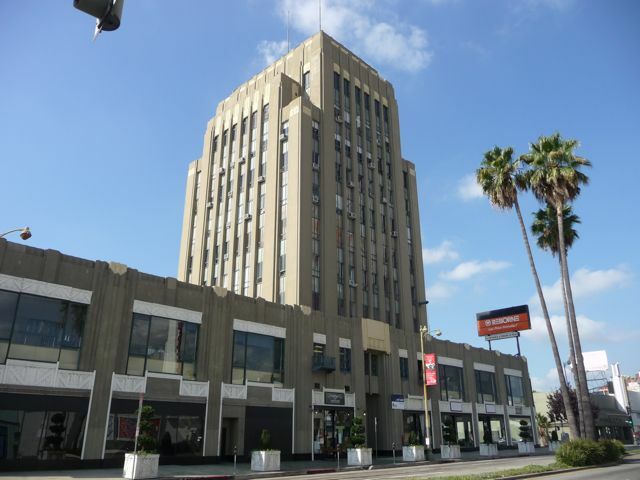 Classic office building in between Burnside and Dunsmuir Avenues along Wilshire. Along view, looking back towards the west. 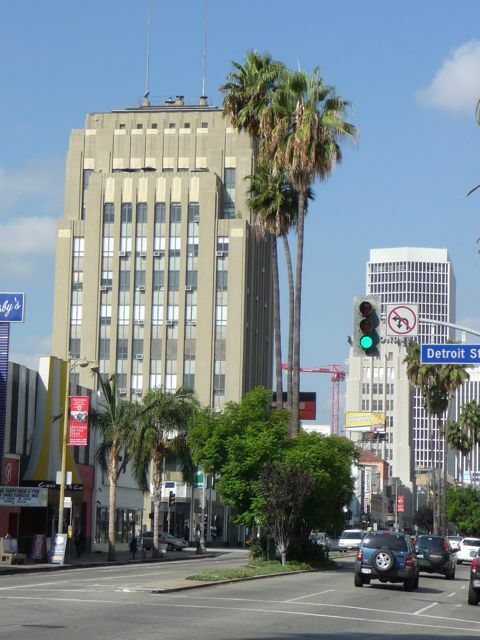 I like the palm tree in the center medium. Scenes like this are a reminder how even the most "urban" sections of Los Angeles are also very suburban nature. Yet another large Korean Church on the corner of Wilshre and La Brea. 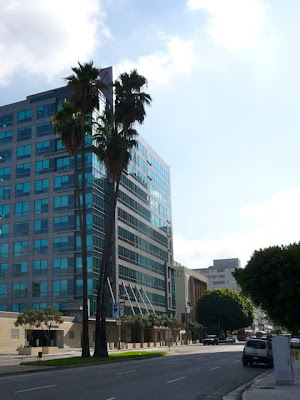 I would have liked to have continued two more miles to Western Avenue (and the current terminus of the Wilshire Blvd subway) but I had to get over to campus (UCLA) so this was the end of my walk. 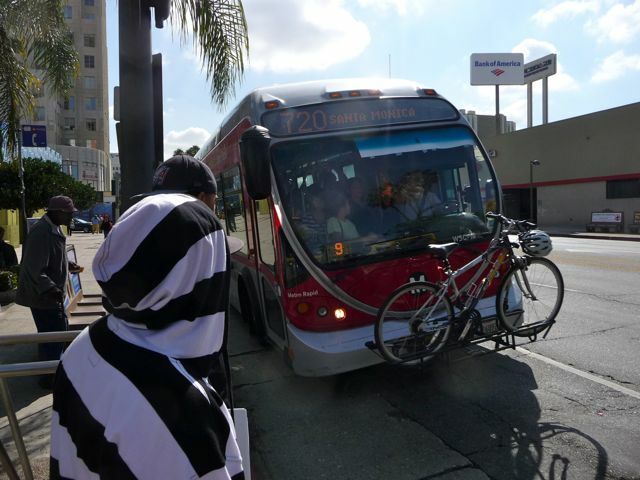 Hopped on the 720 Wilshire Express (which really does move) . . .
. . . four miles to where I originally parked my car (near Wilshire and Santa Monica Blvds). Here's a map of the walk. Nice walk - just under four miles. Los Angele est vraiment unique - je ne suis pas sûr s'il y a autre ville dans le monde comme cela.